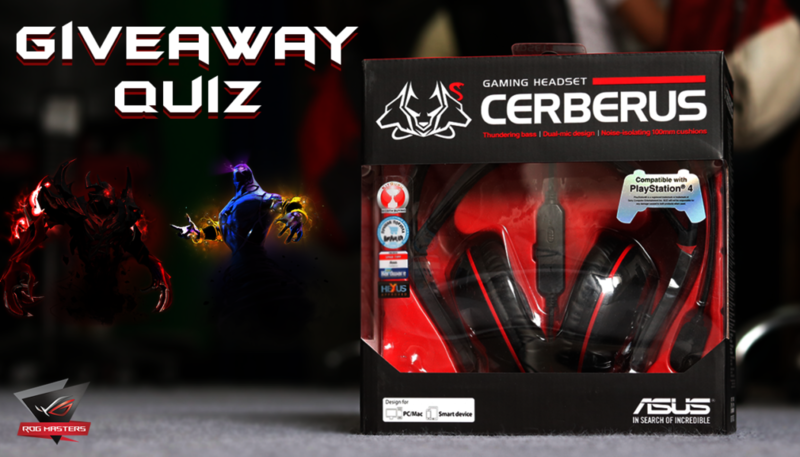 Test Your DOTA 2 Knowledge And Win An ASUS Cerebrus Headset! The Season of ROG Masters is upon us. To gear up for the epic battle, we’re giving out an awesome ASUS Cerebrus Headset. All you need to do is answer these questions correctly. To register for ROG Masters 2017, click here. 5. Winner will be announced on the Gaming Central Facebook page on Tuesday, 11 July 2017.